With a Land Rover Defender TDCi and Northstar 700DL truck camper, Martin and Jan Dover travel off-road and wild camp across England, France, and Italy. Imagine ascending Mount Vesuvius in a truck camper rig and dry camping at Pompeii. Martin takes us there, and beyond. If you were so inclined, you could design a truck and camper rig that was not only capable of crossing the United States, Canada, and Mexico, but the world. This truck camper rig would need to be off-road and off-grid ready, small enough to fit inside a standard shipping container, and compatible with automotive parts and services available around the globe. Why build such a rig? To reach the tip of South America. To visit Rome, Paris, and Madrid. To go on an African safari. To experience the wonders of Australia and New Zealand. All of this is not only possible in a truck camper rig but, as demonstrated in our World Travel section, has already been done. As these explorers have shown, the world is truly on tap for truck campers who make the preparations, and have the audacity and courage to do it. Living in the United Kingdom, Martin Dover dreamed of a truck camper rig. He had seen truck campers on a trip to Canada, and knew such a rig was the right solution for what he wanted to do. Unfortunately, pickup trucks and truck campers were few and far between in his homeland, making his dream even more challenging. And many Americans complain that their closest dealer is a few hundred miles away – ha! Through determination and perseverance, Martin found a suitable truck and camper on his side of the pond, and assembled a truck camper rig. 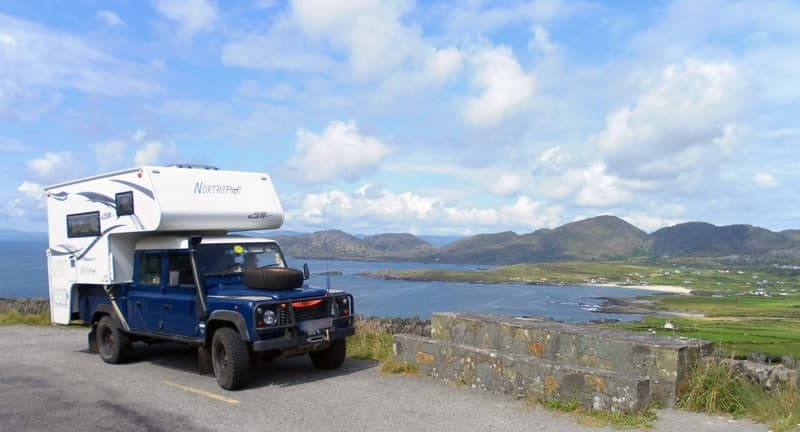 His subsequent adventures proved so successful that he planned an even more capable truck and camper rig; a Land Rover Defender TDCi and a Northstar 700DL. The story of where he’s been and what he’s done with the Land Rover and Northstar have to be seen to be believed. After reading his story and seeing his pictures, you too might be thinking, “I wonder what the ultimate world-ready truck and camper combination would be?” Pompeii awaits. Martin: I was a member of the Boy Scouts when I was young and camped with them from quite an early age. Then when I was eleven my Dad bought a trailer tent which he towed behind his sedan. We went all over with that. A few years later we decided to get an old one to check out how the concept would work for us without investing too much money. 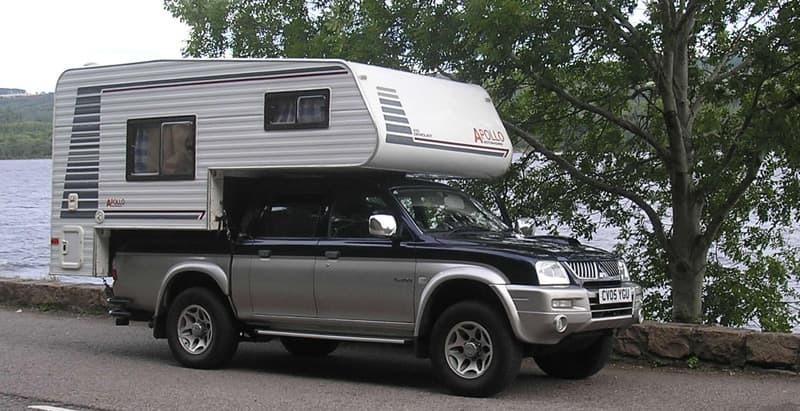 We first bought a 2005 Mitsubishi L200 double-cab as most campers in Europe are made for this size of truck. Then we looked for a camper for sale for not too much cash. After a few weeks of looking we found an eight year old UK-built Apollo demountable. Unfortunately, it was 800 kilometers (about 500 miles) away from our home in the south of England. Since truck campers are very rare in the United Kingdom, we decided to drive up that day and arrived nine hours later, just after midnight. After the deal was done, we loaded it up onto the L200 and spent our first night at the side of a quiet road. That first Mitsubishi L200 and Apollo demountable combination was used in the United Kingdom and on a trip to France. 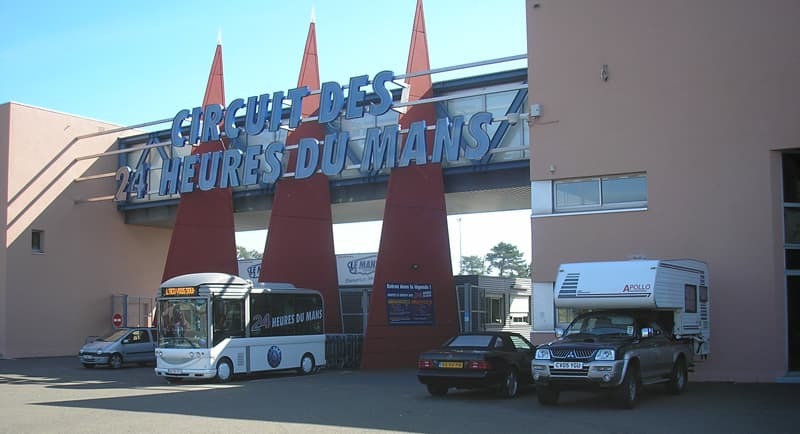 I even drove it on a hot-lap of Le Mans and had a blow-out on the Mulsanne Straight – but that’s another story. The Apollo was big enough for the three of us and worked really well on our trips. After a couple of years we ordered a special-build Northstar from the British importer for our preferred truck, a Land Rover Defender 130 double-cab.